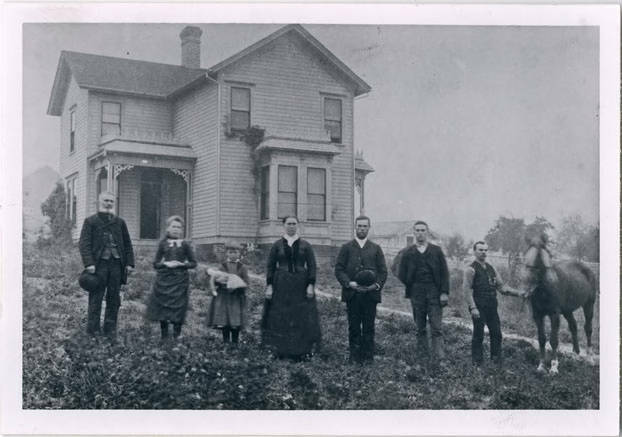 Black and white image of a family standing in front of a two-story, cross-gabled home. Note the chin whiskers worn by two of the men in the picture, and the large doll being held by the young girl in the center. The J. Q. A. 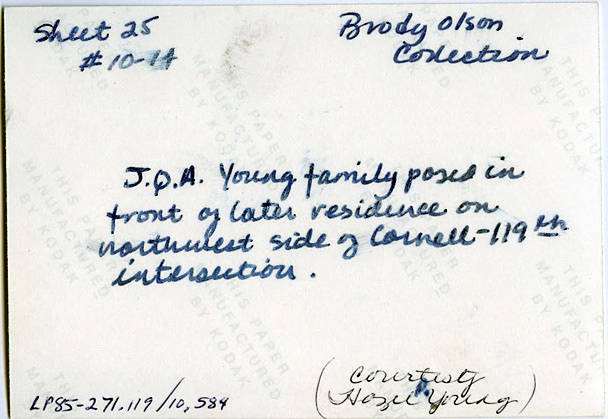 Young House is owned by Tualatin Hills Parks and Recreation District and was placed on the National Register of Historic Places in 2008.